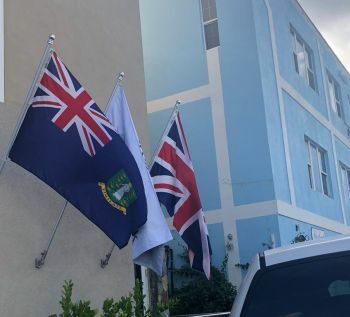 They have erected three new flags at the front of their main Building in Road Town. On display is the local Virgin Islands Flag, the bank’s Flag and the British Flag. In any case flags are always a good symbol of national pride, and in many cases speak to a country’s character. You people.need to stop acting like behind the donkey backside idiots. Just look at the dumb comments.